Realizing that I knew very little about foreign ‘SNS’ (social network sites), I decided to start research fairly broadly and then specify after a little research. As such, the title ‘Japan Social Media‘ jumped out at me as a good place to start. This was essentially all I needed to know. Retrospectively, there was one specific facet that I overlooked: the published date of this information sheet. As would become clear later, the source with which I established my expectations over was several years old and Mixi had since succeeded it’s social media reign in Japan to its rival, Facebook. More on that realization later. Coincidence? I think not. (It may be). Seeing the ‘About’ page mention the service’s launch as February 2004 intrigued me, as I knew Facebook launched in the same year. To my surprise, they both happen to call February the launch date. This was something I was eager to investigate later, as I assumed Facebook inspired Mixi. Not only comprehensible, but familiar. Being a daily user of message boards and embedded in their communities, it instantly clicked that Mixi mustn’t be the easy counterpart of Facebook which I had originally assumed. There were ‘community’s, which clearly featured as the primary interactive circles as apposed to Facebook’s focus on ‘friends’ and professional development. A tangential ‘epiphany’, however: Facebook noticeably tailors the content of the user’s ‘timeline’ based on their use of the service. My timeline, once filled with anecdotal posts and pictures by friends, has evolved into primarily content from ‘groups’ I’m part of. Perhaps Mixi would do the same? ‘Fifteen’ = 7 alphabeltic characters long = display as string? Oh well, Google Translate. Everybody makes mistakes, it’s only human but you shouldn’t. Finishing the registration I assumed this meant I could freely begin to explore Mixi, but a final hurdle; mandatory access to a Japanese telephone. Not as optional 2-Step Authentication, but a purposeful step towards ensuring the site remains sealed off, reserved to Japanese citizens. Baffled by this as I’d assumed it would be easily accessible , I did some digging and found that I’d missed the memo. Due to this epiphany, I sheepishly engaged in more comprehensible (see: ‘basic’) research and confirmed that Mixi had indeed passed its prime. Now in its death throes as the dominant social network in Japan, the remaining users are kept there presumably due to Mixi’s reinvention as a mobile game platform. 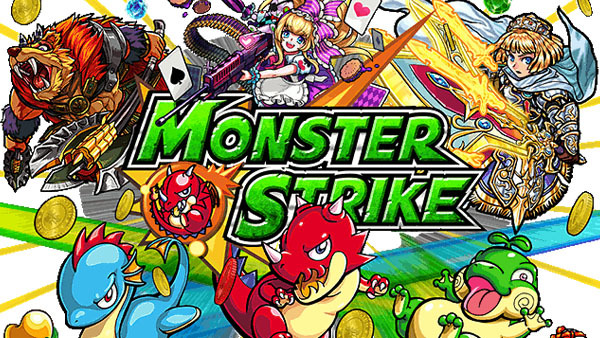 Bolstered by the company’s own Monster Strike (2013), Mixi had suddenly transformed overnight in my perception from unassuming Facebook clone to something completely different. At this stage, despite my expectations being thoroughly disheveled, I look forward to elaborating on and dissecting my Mixi experience with further research in Week 8. Denzin mentions that Bourdieu and Wacquant (1992) value ethnography ‘grounded in everyday cultural practices’, similar to the work of a sociologist. I aim to observe, interpret, and alliterate based on my later findings. Additionally, Willis and Trondman (2000, p.12) speak of reflexive methodology as ‘lived experience… [rendered] into a productive but unfussy relation to theory’. By drawing on further research, I will critically evaluate my assumptions contextually, and reflect on them. Thanks again Jessie! All external pictures hyperlink to their source.